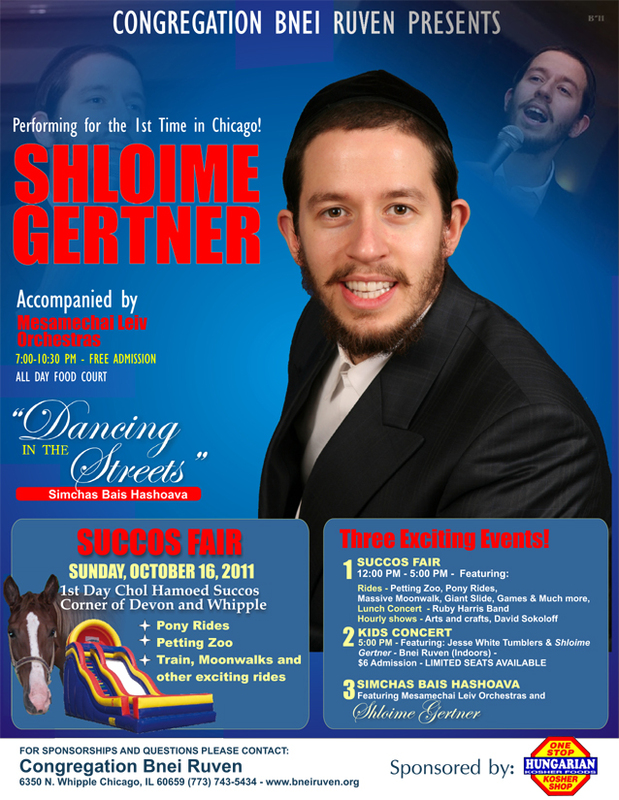 Performing for the first time in Chicago, Shloime Gertner will be the star of the “Dancing In The Streets” Sukkos event, hosted by Congregation Bnei Ruven. The Succos Fair will begin on Sunday, October 16, 2011, First day of Sukkos, on the corner of Devon and Whipple. The Simchas Bais Hashoava will feature the Mesamchei Leiv Orchestra, and Shloime Gertner, Jewish Music sensation. For more information, contact bneiruven.org.